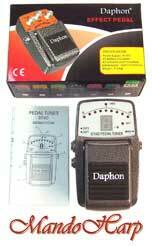 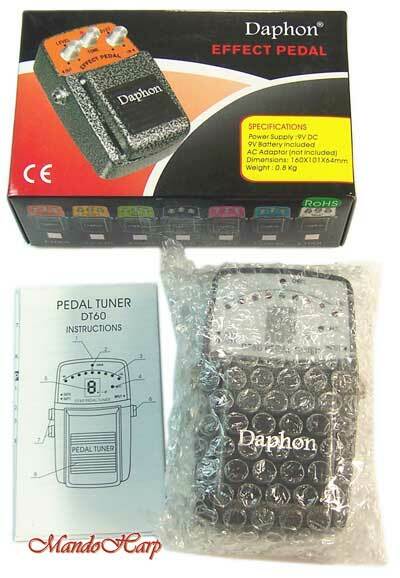 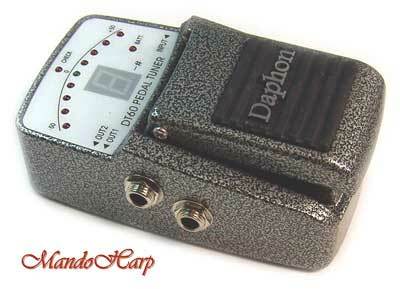 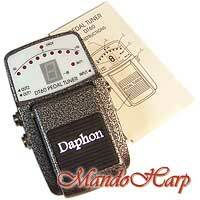 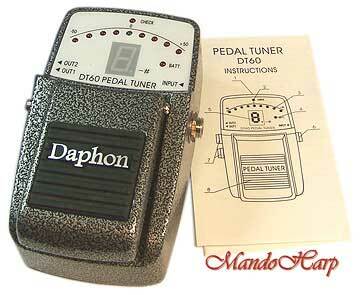 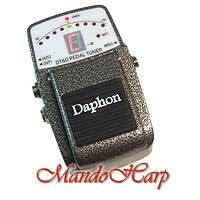 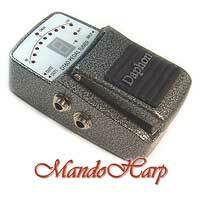 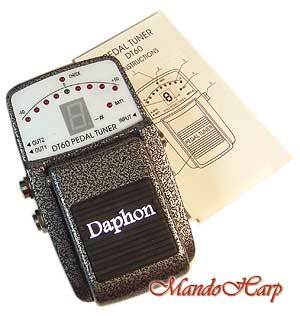 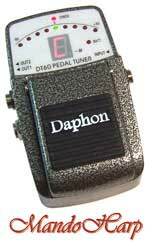 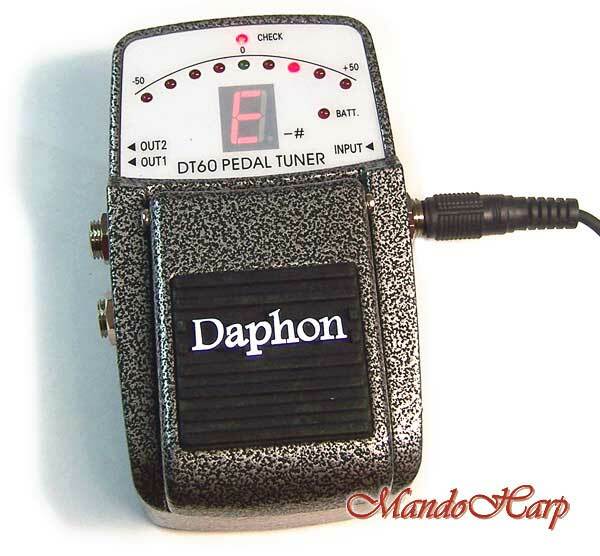 Chromatic Effects Pedal Tuner from Daphon. 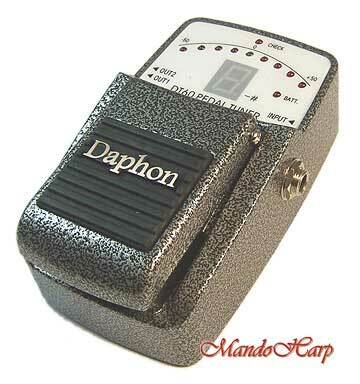 Suitable for most stringed instruments with pickups. 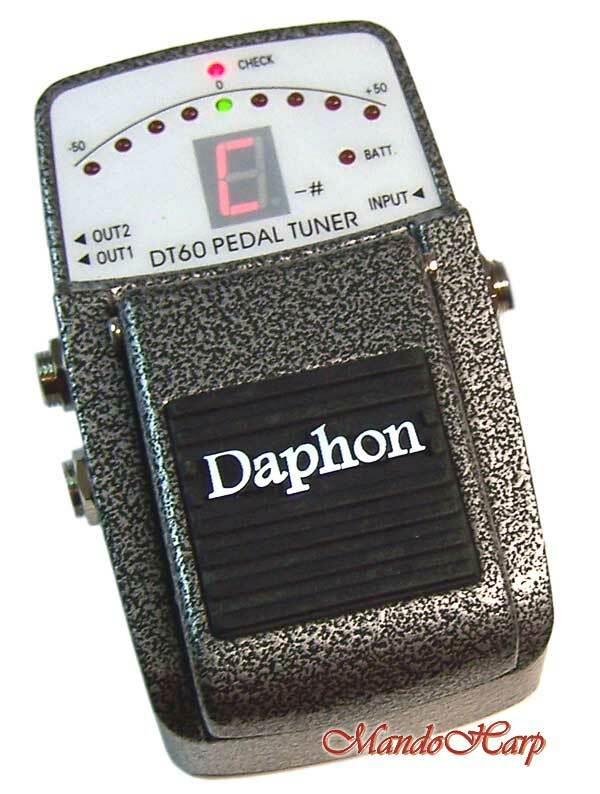 "Keep your guitar or bass tuned on stage with the DT60 Pedal Tuner. 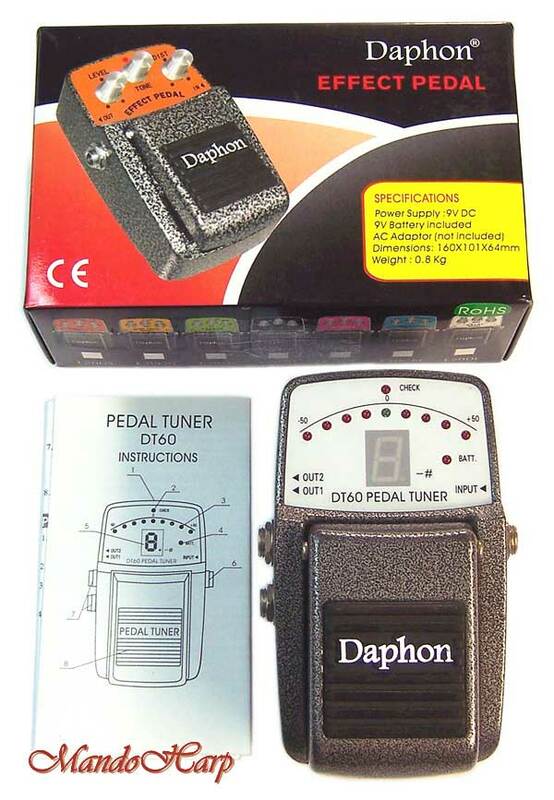 Your pedal board is not complete without one. 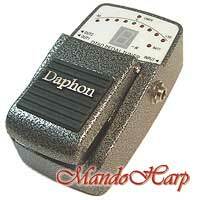 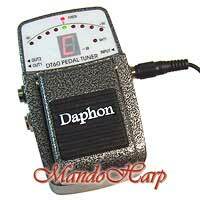 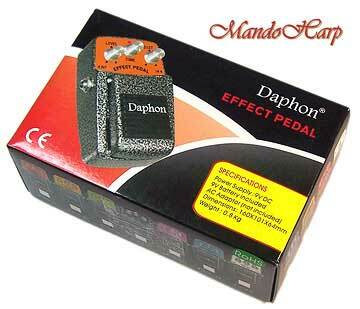 All Daphon effects are very reliable, well built and extremely quiet. 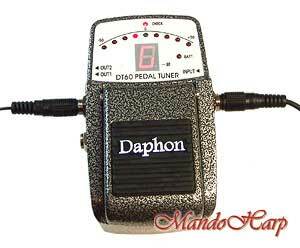 These analog effects work as well for Bass as they do with Guitar. 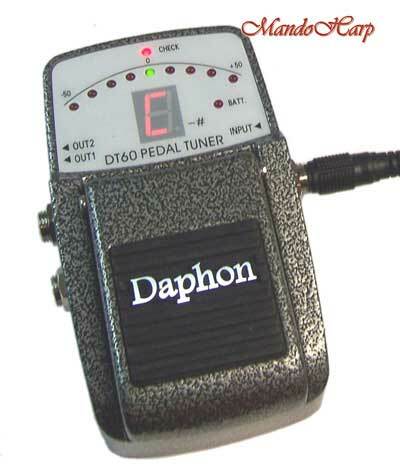 The DT60's case is a manufactured metal casting which is very solid and rugged. All of the effects can use a 9volt battery or an optional AC adapter (not supplied)"